West Ham boss revels in victory over Man Utd: "When we were losing games, [I said] that we had to play as a big team and I think what we did today reflected that." 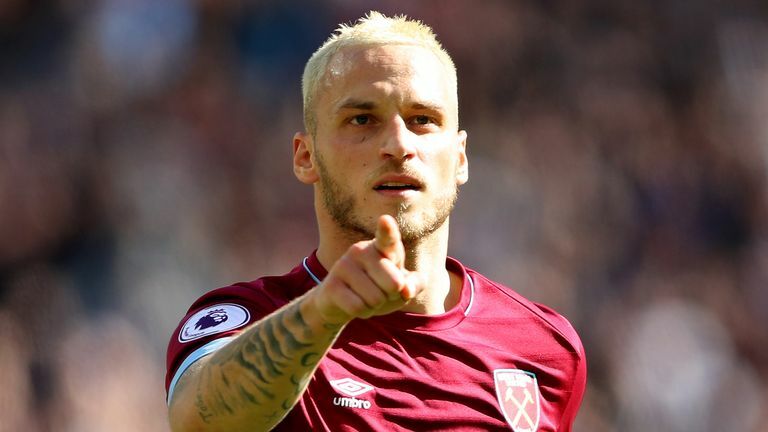 West Ham manager Manuel Pellegrini praised his side's "big team" mentality after their 3-1 win against Manchester United at the London Stadium. Felipe Anderson's early strike, a Victor Lindelof own goal and Marko Arnautovic's second-half finish proved too much for United, who grabbed a consolation goal through Marcus Rashford. And Pellegrini, whose side are unbeaten in their last three Premier League games, hailed his improving team. "It was a very good game because I remember what I said three weeks ago when we were losing games, that we had to play as a big team and I think what we did today reflected that," he said. "We are improving and we must continue in the same way. Just because you are playing against Chelsea or Manchester United, you don't have to play with everyone at the back to get a result. "Today we played as I like my team to play - as a big team trying to get to the other box. They scored just one goal from a corner, so it's a massive result and a massive performance." West Ham's first home league victory since the final day of last season lifts them to 13th in the table. And after taking seven points from games against Everton, Chelsea and Manchester United, Pellegrini has warned against complacency when they travel to Brighton next weekend. He said: "I remember the questions of the media when we had fixtures against Everton, Chelsea and Manchester United and people thinking we wouldn't get any points, but football is different. We continued working because I saw every day in the week that the players believe in what we are doing. "We are in a good moment with good results, but it's a difficult moment too because if you think you are going to beat Brighton just because you have beaten Manchester United, you will lose."